Rose & Crown Dining Room is well known as a family-friendly pub which offers guests British comfort food and stellar views for IllumiNations: Reflections of Earth. 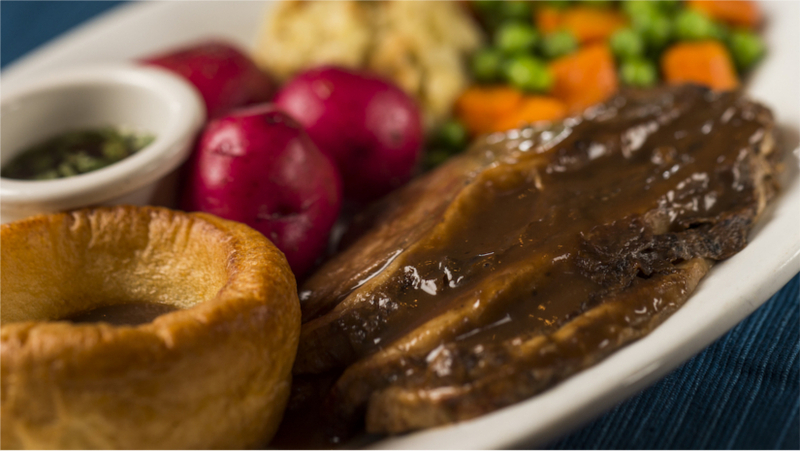 Recently, a traditional British favorite, the Sunday Roast, was added to the menu. Sunday Roast is a traditional British meal, typically consisting of roasted meat, potatoes, vegetables and Yorkshire pudding. At Rose & Crown Dining Room, the dish will alternate weekly among Roasted Pork, Turkey, or Lamb with Mint Sauce (check at the location). As the name suggests, Sunday Roast will only be served on Sundays. To make reservations at Rose & Crown Dining Room (located in the United Kingdom pavilion), visit DisneyWorld.com/dining or call 407-WDW-DINE.